For years, if you wanted magic, you had to go to Montgomery, Alabama. There, in a small corner butcher shop called Penny Profit, Rubin and Julia Hanan sold their black and white magic. Not exactly a spell or a talisman, these magics were seasoning blends known for their ability to completely transform the foods they touched. Customers from all over the state would make the trip to Penny Profit, all hoping to get just a sprinkle of the seasoning. The seasonings, named White Magic and Black Magic, were considered worth the trip by all those who knew them. Concocted by Julia in order to make her husband’s steaks, chops, and chicken stand out from other butcher shops, the spice blends became legendary for their ability to compliment meats without overwhelming the natural flavors. Black Magic was meant for red meat. White Magic is for just about anything else—fish, chicken, and even veggies. “I’ve pretty much put the White Magic on anything and everything,” says Ashley Landers, co-owner of Mis’ Rubin’s. She says the seasoning remains an irreplaceable ingredient in her family’s salads, pastas, and chicken dishes. 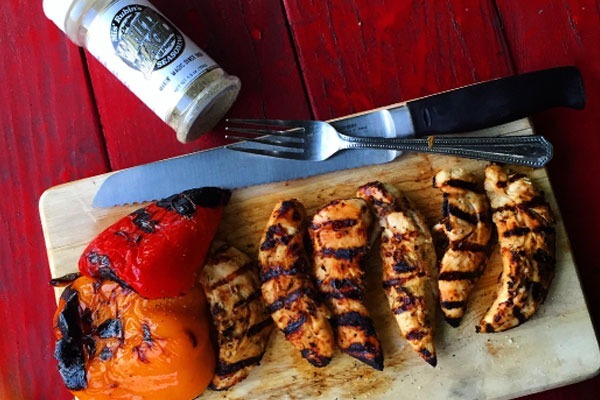 Beyond their legendary flavor, the Hanan’s seasonings became a historic piece of Alabama culture. If you were new to Montgomery, someone would eventually clue you in to the magic that could be found at Penny Profit. Robert spent his high school summers working alongside Julia and Rubin Hanan in their shop as they created magic for the meat-loving folks of Montgomery. The result was an enduring respect for the Hanan’s legacy and a sense of community with their devoted customers. Even when he moved away, Robert Landers remembered the magic. When the Hanans decided to retire, the Landers family stepped in to keep the tradition of the magic from Montgomery alive. They bought the store and the recipes from the Hanans to preserve the legacy. Robert’s grandmother took over the job of mixing the seasonings, headquartered in her kitchen. Julia entrusted the Landers family with her notebook, where the original magic recipes had been written in the late 1930s. But a kitchen couldn’t contain the magic. “We kept getting calls from people asking why they couldn’t get more.” Robert says. People were trying to order the magic by the case. That’s when the Landers decided that the magic was bigger than a kitchen operation. Robert and Ashley stepped up create a company that would spread the magic throughout the country. Mis’ Rubin’s Seasonings was born. A company that honored the history of the Hanans. By passing the legacy of Black Magic and White Magic from one family to another, Robert and Ashley feel they’re making the Hanans proud. The process of turning corner store spices into a national company wasn’t easy. Robert and Ashley had to translate Julia’s hand-written recipe into something a co-packing company could understand. They moved back to Birmingham so that the company could grow from a strong base where the Hanan family still lives and thrives today. “We’ve reconnected with the Hanans and they have been super, super supportive,” says Robert. 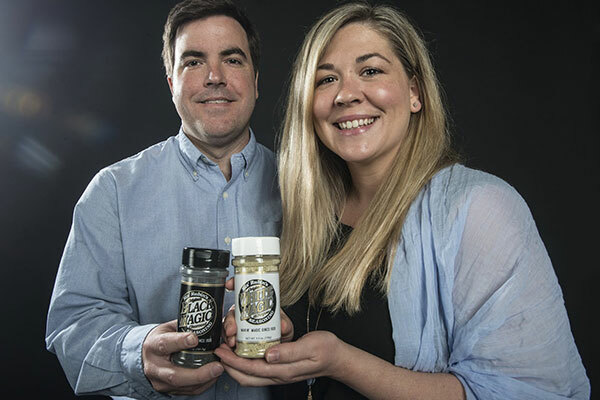 Julia and Rubin’s children and grandchildren are grateful that their family’s story and their magic are still cherished by all those who buy the seasonings.